Drew Brees is the current quarterback for the New Orleans Saints. 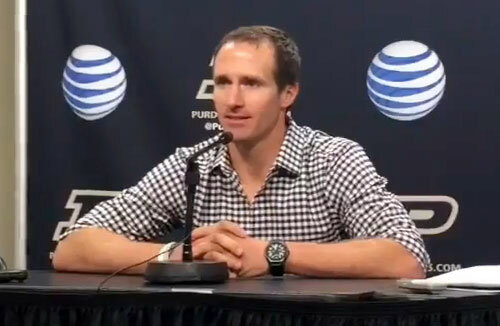 Brees played college football for Purdue University and was chosen by the San Diego Chargers in the second round of the 2001 NFL Draft. Brees is a seven-time Pro Bowl selection, holds multiple NFL passing records, and led the Saints to a Super Bowl championship in 2010.